EZ Loader Boat Trailers began building boat trailers in 1953 with the basis of quality and fine workmanship. This is the reason that they are found worldwide under the most well known boats in the Marine Industry. EZ Loader has been granted numerous design patents since 1964 beginning with the first all-roller trailer. Our latest patent is the revolutionary I-Tube/Beam Aluminum that conceals brake line and wiring and adds additional strengh and durability to our aluminum trailers. EZ Loader is continuously seeking the most up to date designs and technology to build strong and durable trailers. EZ Loader is the only manufacturer to offer you a boat trailer to fit every need - Adjustable, Aluminum, Galvanized, Powder Coated, Fully Welded, Custom Painted and Tuff Coated. We offer trailers with a weight capacity of 600# to 15,500# and lengths from 12 feet to 40 feet. EZ Loader is dedicated to the same philosophy of quality and service provided to our customers that began in 1953 that has earned us the title of a "Respected Leader in the Marine Industry". Reliability. Out here, it's everything. At Mercury, we engineer, build and test reliability into all our products. We always have, and we always will. Because whether you've got four 300hp Verados spanning your transom or a 2.5hp FourStroke on the back of your inflatable boat, consistent, reliable engine performance is a must. So before we put our outboards to the test in the real world, they endure test after test in our state-of-the-art testing center. All so you can take to the water with confidence every time, no matter what. Because when you're on the water, reliability is more than just a word. It's peace of mind. With the release of the first MerCruiser sterndrive at the Chicago Boat Show in 1961, Mercury Marine founder Carl Kiekhaefer forever changed the boating industry. Until then, outboards were the standard in marine engines, but Kiekhaefer's sterndrive allowed boaters to maintain outboard-like maneuverability in a package that offered unprecedented recreational boating power. With its already stellar marine reputation, MerCruiser quickly captured a commanding majority of the recreational market. Now celebrating its 50th anniversary, MerCruiser continues to lead the industry, guided by the same trailblazing ethic that inspired Kiekhaefer's historic first sterndrive. You're here to wake up the water. 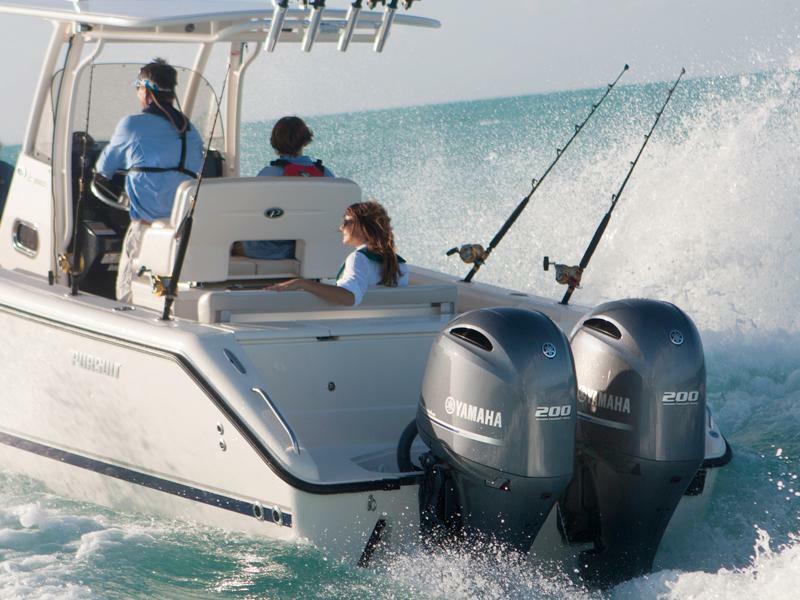 Count on Yamaha's reliable In-Line four strokes to power the fun. Our in-line four-cylinder designs and electronic fuel injection make these babies strong, nimble, compact and light weight. In other words, they're up for anything, making them the perfect power for cruising, skiing and sport fishing on flats, decks and offshore boats, and pontoons or deep-V hulls. 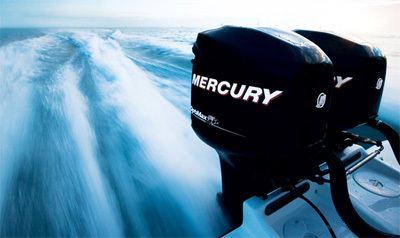 The original source of quality at Mercury Marine, our top-performing outboard and sterndrive engines are only part of the story. 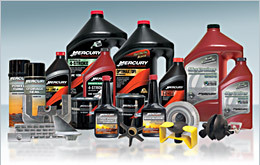 Our parts and accessories meet the same tough standards and testing that our engines do. So when you purchase Mercury Marine parts and accessories, you can be sure that you're getting world-leading products that are designed with you and your engine in mind – for the peace of mind you need to best enjoy your time on the water. Thank you for your patience with our new site design as we are adding new content to the site as we speak. So check back frequently and hit your browser refresh button to see new updates. If you have a specific question that needs an answer to, please give us a call so we can help you immediately.